Growing up, I kinda skipped the YA genre. For one thing, it was not as prevalent. For another I was pretty “old” for my age (I still am). Sometimes I feel I am catching up for my younger self. I wish this book had been around when I was in 5th or 6th grade, and still figure skating. That’s right — yours truly was a figure skater. I wasn’t bad. Spins, jumps, footwork, and all that. I wanted skating to be fun, not work, so I never competed. But I did a few exhibition shows and looking back at those pictures of me as a gangly, frizzy-haired in too-big skates, I cringe. Still the love of skating hasn’t left me — I just don’t get to do it very often. And when the Olympics come around, watch out. I yell at the TV, extolling praise on the choreography of one and dismissing the poor form of another’s weak knee on a layback spin. 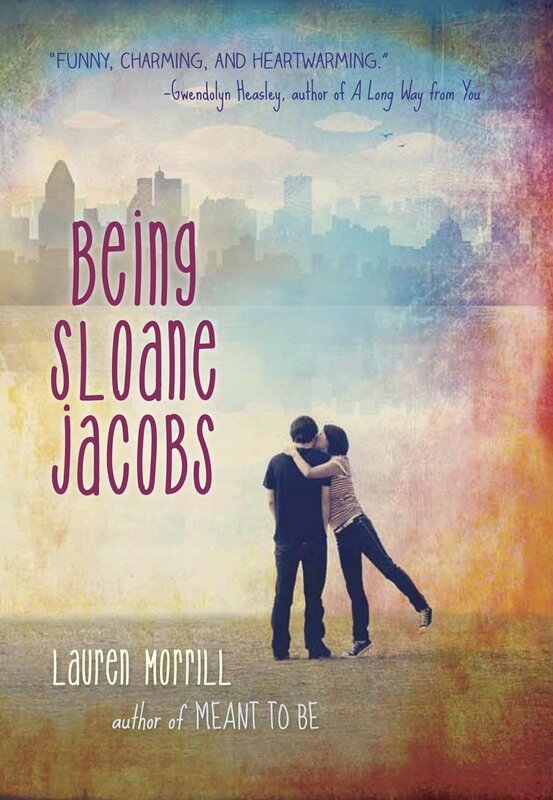 In Being Sloane Jacobs, two young teens are going to Montreal for summer camp. One is a failed junior national champ in figure skating. The other is trying to get into college on a hockey scholarship. They both happened to be named Sloane Jacobs. When their luggage is taken to each others’ rooms in the hotel, the two hatch a scheme to avoid their dreaded summers. Sloane Emily (skater) doesn’t want the pressure from her wealthy, Washington DC family. Sloane Devon (hockey) is nursing an injured knee and is suffering from nerves on the ice. When they realize no one will know the difference, they switch places in an attempt to avoid what they most need to deal with, in a sort of The Parent Trap meets Cutting Edge. Of course, they each handle the deception in various ways, make friends they are afraid to come clean to, and stumble their way through the unfamiliar sport they are supposed to be expert at. Morrill manages to ride the fine line between snarky and sincere with her characters’ inner thoughts (the chapters alternate between the two). They sound like real teenagers. They are not too perfect or too dastardly. They struggle and they learn. On occasion, one must use a suspension of disbelief to think that either girl could become as accomplished in each other’s sport in such a short amount of time. But all in all, Morrill makes it plausible. Full disclosure here — I met Lauren at the Crossroads Writer’s Conference this year. When I heard she was writing a book about skating, I asked her if I could read and review it. I’m so glad she agreed to let me.